At Intune Motorcycles, we are equipped with our own Dyno facility. 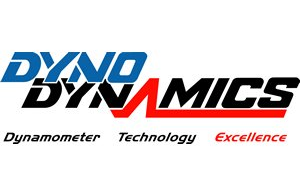 Dyno Tuning allows us to measure the air-fuel ratio and the power output of your motorcycle within a controlled environment. This diagnostic tool known as a Dynamometer allows us to fine-tune your bike without the need of road testing it. This means that we can simulate any speed or load on your motorcycle at any RPM. Basically your motorcycle stays with us in the workshop over the entirety of the process. Why does my bike need Dyno Tuning? Whether you have an older carburetted motorcycle or the latest fuel injected motorcycle, a Dyno tune could help you. Dyno Tuning makes for a more accurate and safe process overall, tuning your motorcycle for its best performance. In short, it is a time-effective solution with a more precise outcome. To adjust the fuelling and ignition of your motorcycle, we either use software to re-flash your ECU where available or alternatively we can fit a Power Commander or Bazzaz unit. To adjust carburetted motorcycles we select and fit the correct size jets and needle adjustments to obtain optimum power and fuel efficiency.